Ah, “Solar Lovers.” Hands down my favorite doom metal album ever, “Solar Lovers” is the gem in the Celestial Season crown. Resting between the too-ornate debut album and the extravagantly drugged excesses of the latter albums, it strikes the balance between crushing emotional doom and groovy psychedelia. Did I forget to mention that it’s also my favorite stoner rock album? The tension between the two styles, one heartfelt and moving and the other heavy and excessive, make it beautiful, entertaining and seriously ideal for a pint of Belgian ale (yes, I know they’re Dutch band) and a joint stuffed with the best BC bud. It helps to be in love too. Left over from more My-Dying-Bride-influenced days are two violinists, but they don’t just play in the three-note style that was and remains all the rage in metal, playing instead some very beautiful solos and somber chord progressions, complementing the heavy guitars without overpowering them. The violins are also employed in folksy instrumentals, accompanying acoustic guitars and springy dance rhythms. But mostly they’re there to add a rainy ambiance to the heavy plodding guitars and wild 1970s-style heavy metal solos. The lyrics, growled, spoken and whispered, revolve around deep, perhaps too deep, love, flying in the face of a genre more infatuated with love lost. The lyrics are all about falling, falling into someone, falling into green leaves, falling in love. But they’re also about those moments when you look into a lover’s face and know that your finite happiness can’t last because ultimately death brings us all back the earth. It’s all so beautiful that it makes me want to dance with tears in my eyes, to paraphrase Ultravox, whose “Vienna” the band covers to soaring success, bringing a rocking bohemian flavor to a sentimental favorite. It’s this romantic heaviness tinged with sadness but mostly joy, as well as the typical Dutch emphasis on the sensual and the hedonistic, that really sets the album apart from the other doom death mopes of the time. 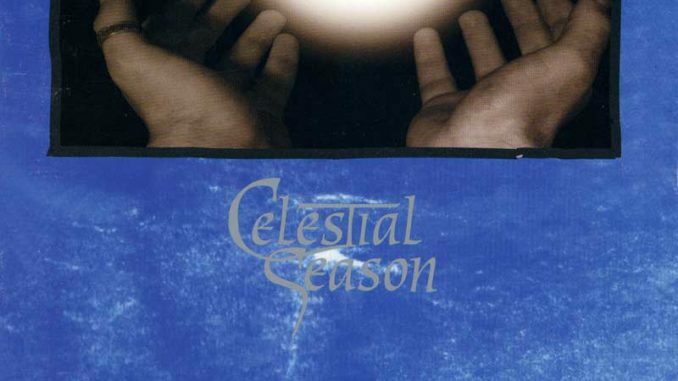 Following “Solar Lovers,” Celestial Season dropped the violins, increased the bong hits and fully embraced the stoner rock that was always latent in their sound. They may have a following in the European stoner rock crowd (or maybe not, I don’t know), but to me, “Solar Lovers” will always be their great timeless album. Oh well, all things end, lover, c’est la vie. 05 – Will You Wait For The Sun?